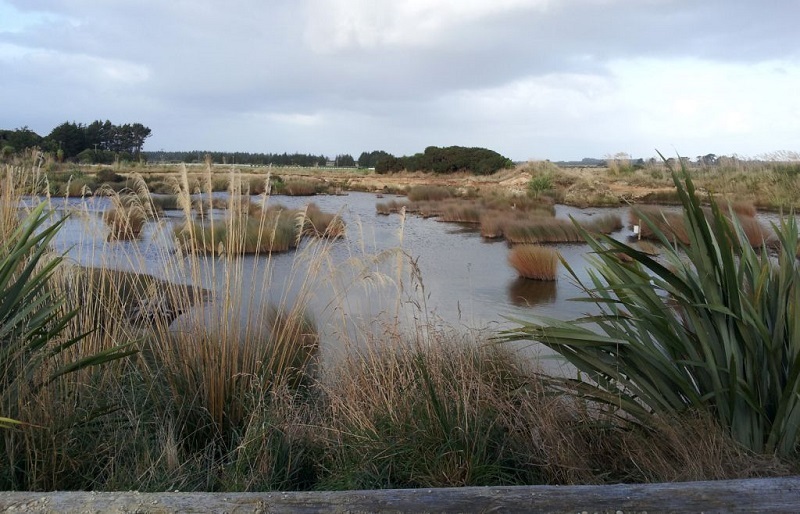 The Waituna Landcare Group was formed in 2001 as a result of local concern being expressed about the health of Waituna Lagoon. To understand what the water quality was like in the catchment, the group got involved in monthly testing on the tributary streams using the Stream Health Monitoring and Assessment Kit (SHMAK), and also assisted Environment Southland in early years by collecting monthly water samples from the lagoon. The group also held field days encouraging good land management practices, undertook studies to identify issues and farm management practices, along with publishing a newsletter that focused on these matters and promoting the values of the wetland and its flora and fauna. Beach clean up at Waituna Lagoon with Gorge Road School in 2009. Photo by Katrina Robertson. In more recent years with the emergence of other groups working in Waituna, the Landcare Group has been involved in setting up and maintaining riparian planting sites around the catchment, using plants from their own plant nursery, restoring a gravel pit to a wetland, working with Gorge Road School Waituna Ambassadors, and continuing to promote awareness of our local environment and its special values. One way this is done is through the annual World Wetlands Day event in February, which often involves the whole Gorge Road School. Gravel pit from lookout, 2017. Photo by Waituna Landcare Group. The unused gravel pit on the corner of Waituna Lagoon Road and Hanson Road had become a spot for rubbish dumping and four wheel driving, while gorse had become well established. In 2009, the Waituna Landcare Group successfully applied for a Department of Conservation Community Conservation grant to restore the area. Fencing, planting and weed control have been the main tasks, however the Landcare Group has also developed a track and most recently installed a lookout over the pond. The gravel pit had a drain that led from the far side of the hole to keep it from filling with water. One of the first things the Landcare Group did was to get a digger to form a barrier to raise the water level. Later a fish pass was formed to encourage the use of the area by eels and kokopu. From the top of the hill where the lookout is sited, it's possible to look down over Polly’s Pond with scattered clumps of the jointed rush (oi oi) which had already established naturally. Nest boxes have been erected to encourage grey teal to use the area. Although they haven’t been seen, scaup have successfully reared young ones on the pond for several years now. Over a number of years the Waituna Landcare Group has assisted landowners in the Waituna Catchment to undertake native riparian plantings. This is made possible by the Department of Conservation Arawai Kākāriki programme, and more recently the Living Water programme, providing funding to the group to enable the purchase of plants, protectors and contracting someone to do this work on the Landcare Group’s behalf. Toi toi, red tussock, cabbage trees, koromiko, mingi mingi and pittosporum have been the main species used. The Landcare Group have a plant nursery where they propagate about 500 plants a year for riparian plantings, along with forest restoration projects in the catchment. Gorge Road School students at Fantail Rise in 2017.Photo by Waituna Landcare Group. Gorge Road School is the closest school to the Waituna side of the Awarua Wetland. 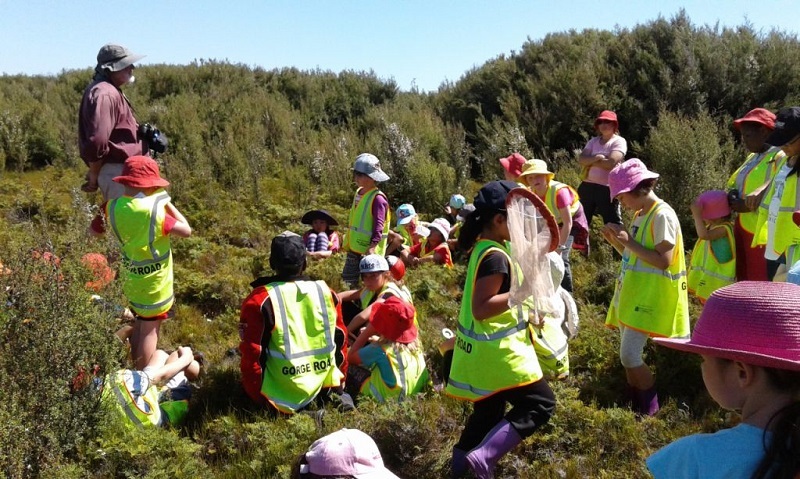 The Waituna Landcare Group have worked with the school since the group was formed. 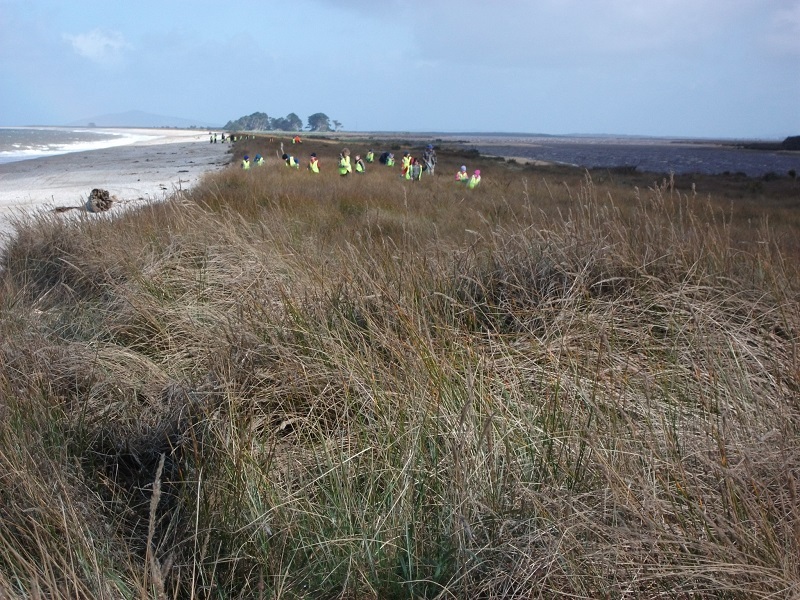 In the earlier years the school joined the Landcare Group for a Clean-Up NZ week event in the spring, having fun along the foreshore of the Waituna Wetland. Later, the Gorge Road School Waituna Ambassadors Group was formed who are pupils who enjoy the outdoors and learning about nature. They join the Landcare Group for planting and investigation outings at the Gravel Pit and Waituna Wetland. For the last few years the whole of Gorge Road School has joined with the Landcare Group to celebrate World Wetlands Day in February. Highlights for the students have included visiting Waituna Lagoon with Environment Southland and Department of Conservation staff in 2016 to learn about the fish that gave the area its name (wai = water, tuna = eel). And in 2017 exploring Fantail Rise, a wetland area at Gorge Road in 2017, where they discovered the amazing blue koura.